BWG Bucket elevators provide high performance and economize on space. They have been designed to provide many years of use offering a long life span use with low maintenance costs.The bucket elevator is manufactured using the latest developments there by surpassing the disadvantages inherent in the older large volume elevation systems, which have low capacity and high consumption. 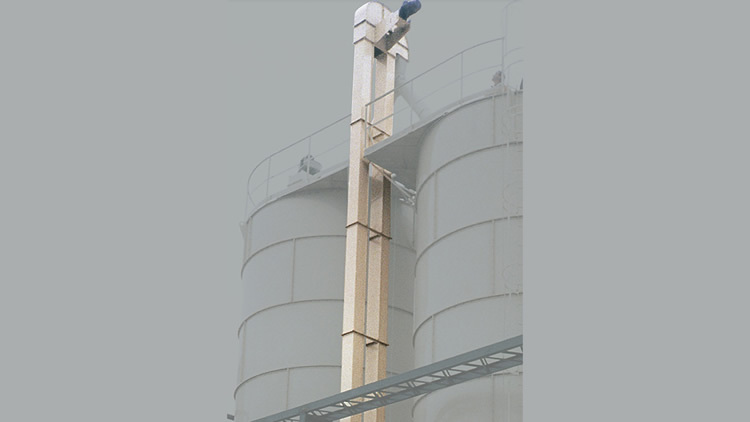 The BWG bucket elevator is highly versatile, and can be made to fit height, width and volume requirements of each facility. Owing to the great technological advances in the design of the buckets and belts that are uniquely special for each product, it achieves high performance and maximum security with low maintenance. For elevating granulated products, Prillwitz supplies the BWG Bucket elevator, while for mealy products handling the BWH elevator is supplied.